If your vehicle is light-duty, gasoline powered, three years old or less, and registered in one of the 48 emissions counties (map), it may be exempt from an emissions inspection under General Statute 20-183.2 (link is external) (link is external). Vehicles with less than 70,000 miles and within the "three most recent model years" will receive a safety only inspection. The calculator on this page will help determine if your vehicle should receive a safety and emissions inspection or a safety-only inspection. 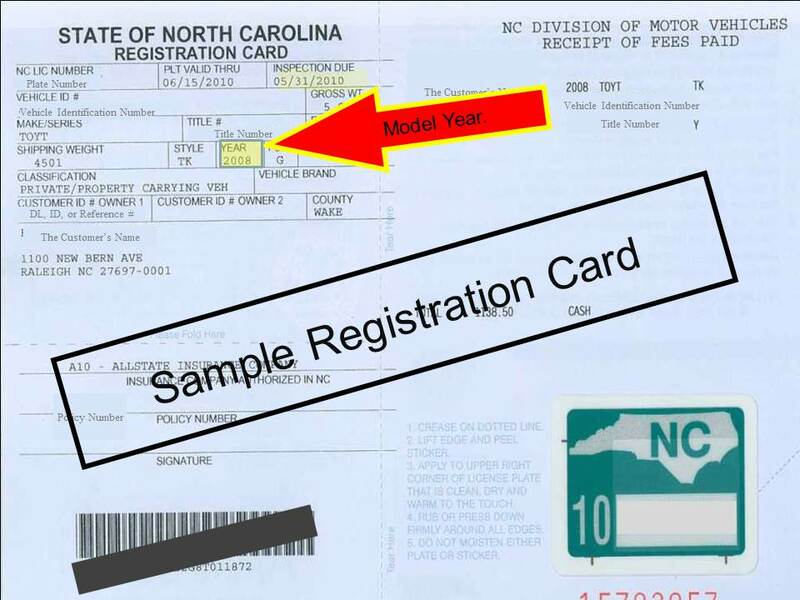 For Registration help contact the NC DMV helpdesk at 1-877-421-0020. Do not use this calculator for a new motor vehicle as defined by NC General Statute 20.183.2 (b) (7) (never titled). All new vehicles sold in North Carolina receive a safety-only inspection that is concurrent to the first year of this rule.